Despite our scientific and technological generation, we live in an age of miracles. They are so many, and they occur so often, that we tend to take miracles for granted. When one gets well from a serious illness, we say, "His recovery was a miracle!" When we see pictures of a car wreck, we say, "It was a miracle all were not killed." A wife sent a friendship card to her husband with the message, "You love me! 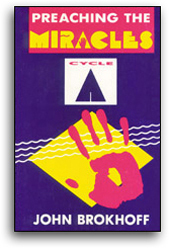 Will miracles never cease?"